Join in the fun at Fashion Rocks Autism 2019 at The Delta Hotels by Marriott Baltimore Hunt Valley, the season’s most meaningful, memorable, and fun event! When: Friday, November 8, 2019, 7-10 p.m. The pre-show reception will feature heavy hors d’ouvres, two carving stations, desserts, and an open bar. Baltimore’s finest DJ, Vince Christopher, music will set the mood, while you bid on our silent auction and visit with exhibitors from across the Baltimore-Washington, DC region. The fashion show and rock concert begins. Models include people with autism from across the country, family members of people with autism, sports and news personalities, fashion industry leaders, Baltimore business executives, and professional models. 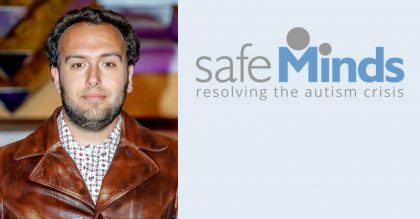 SafeMinds stunning live auction will give you the chance to start your holiday shopping and pick up some gifts for yourself, too. It’s going to be a whirlwind of excitement you don’t want to miss. The fashion show and rock concert continues. Trunk show with the clothiers selling the clothes you’ve seen in the show. You’ve asked for it, you’ve got it! Be A Sponsor: Learn about sponsorship opportunities. Great sponsorship opportunities still available with an early bird discount until April 30, 2019. For more information on participating in or attending Fashion Rocks Autism, please contact Lisa. Fashion Rocks Autism–Meaningful, Memorable, and Fun! 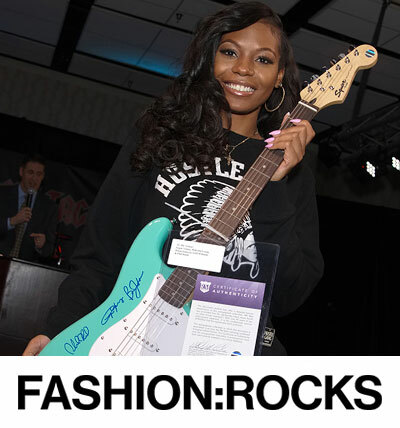 FASHION ROCKS is a registered trademark of Fashion Rocks, LLC and is used under license.